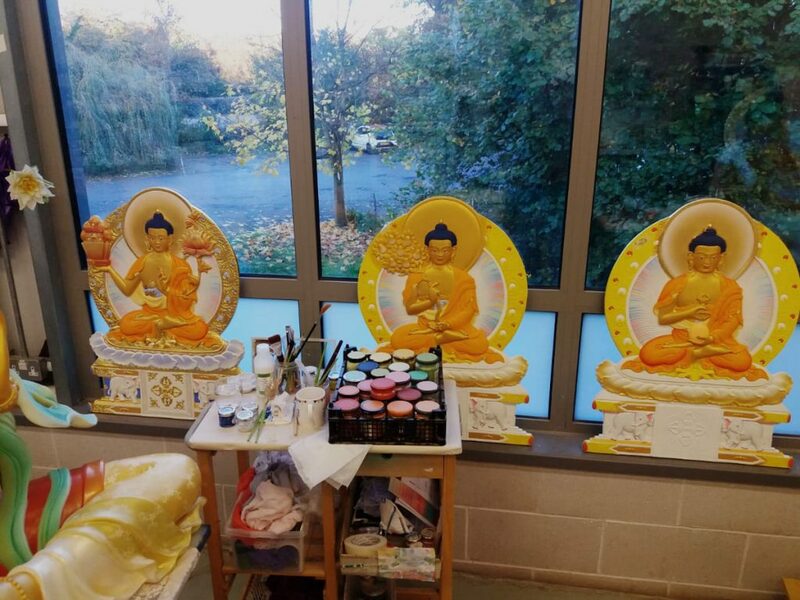 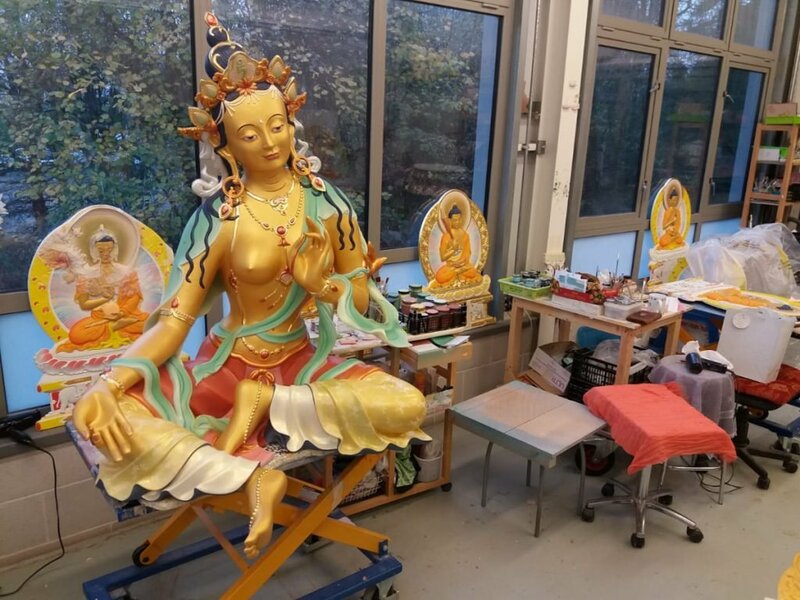 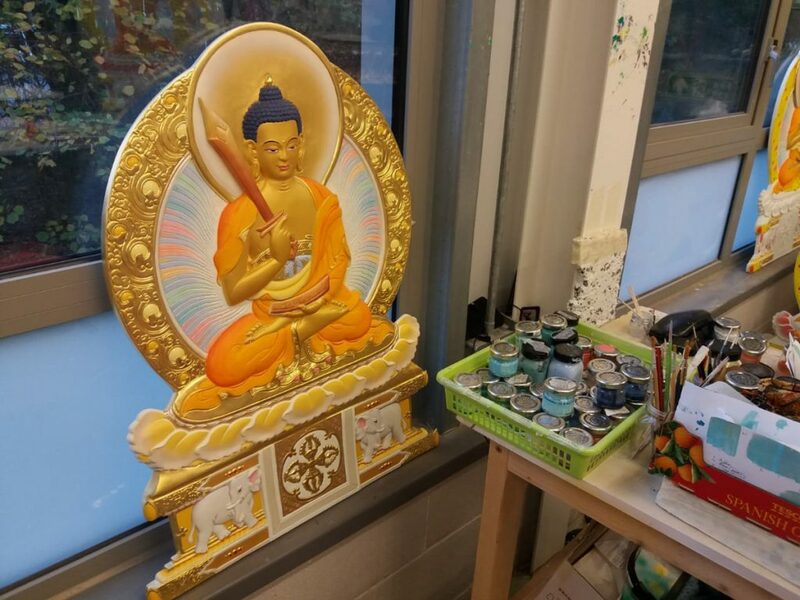 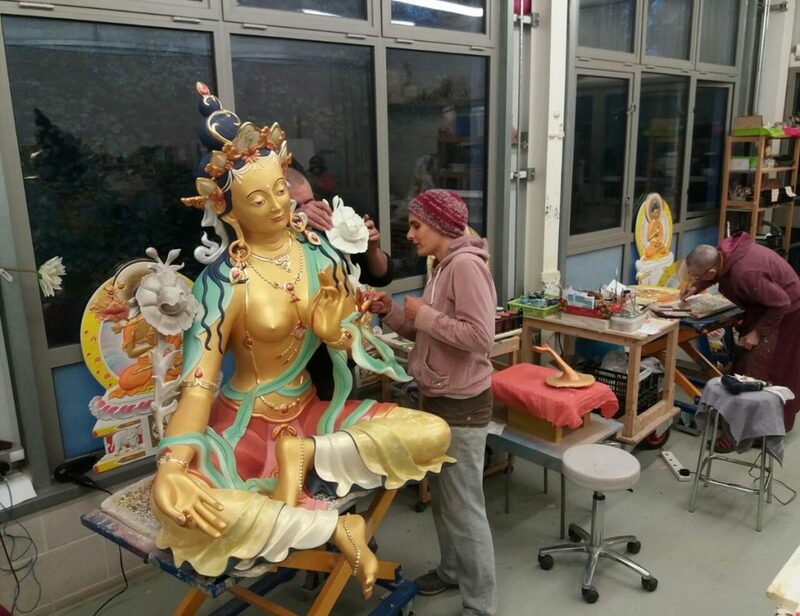 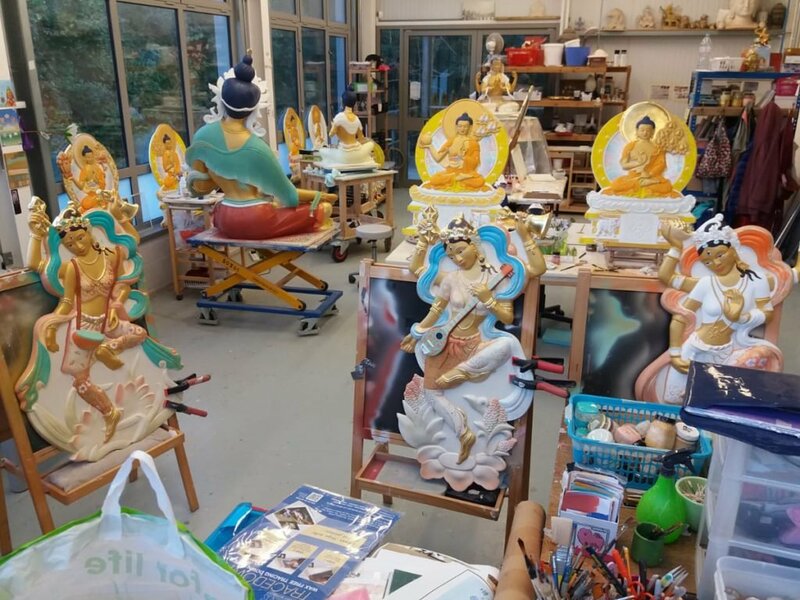 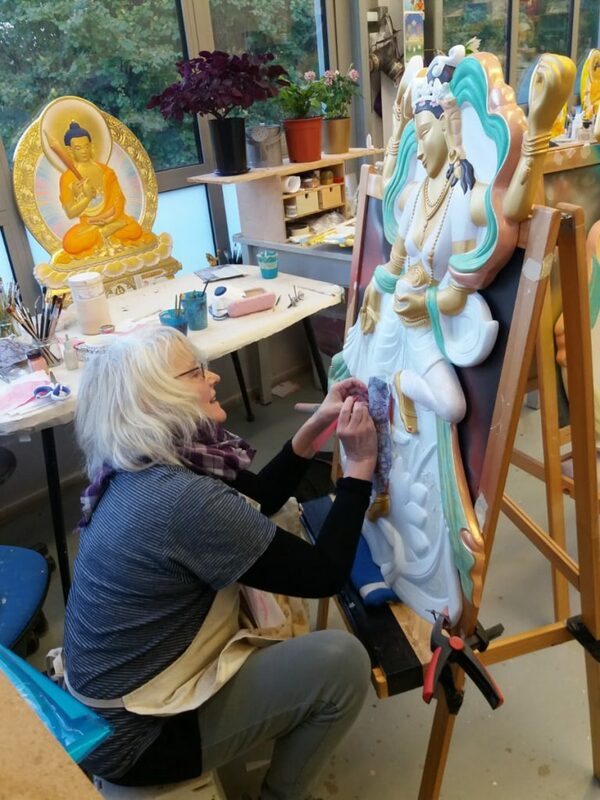 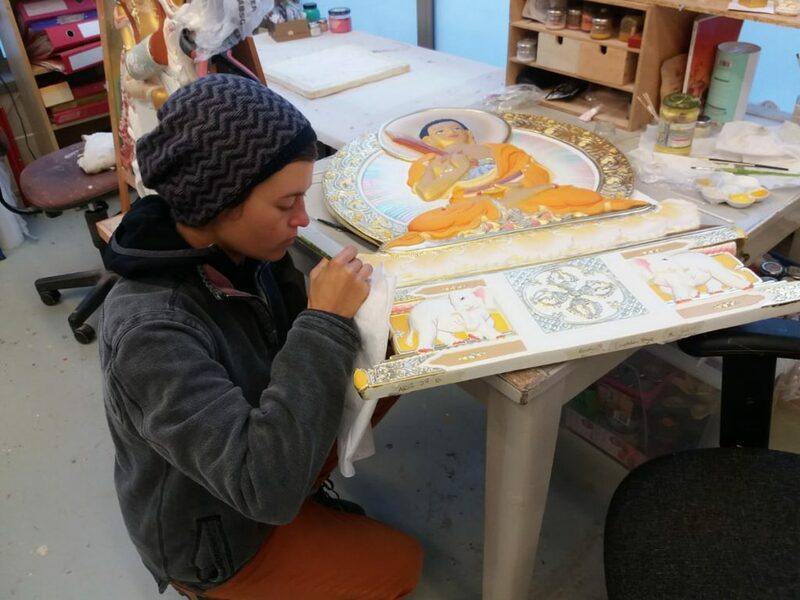 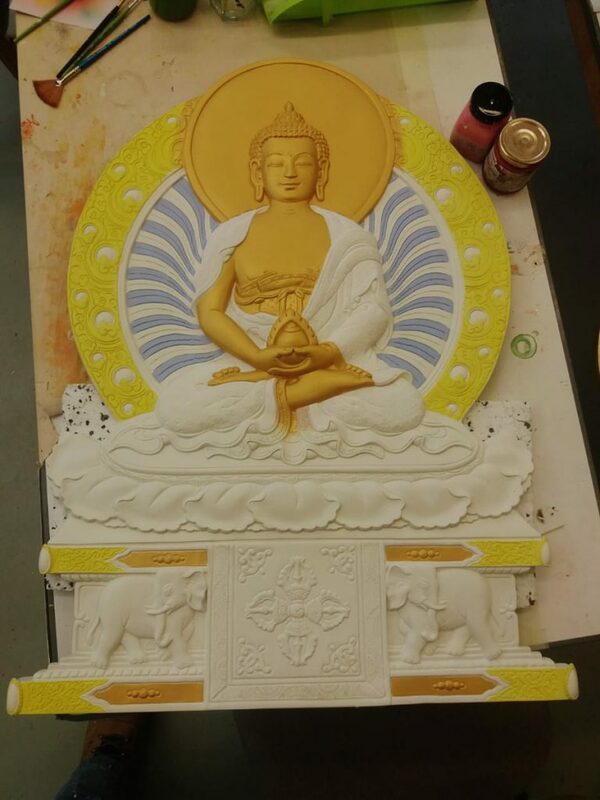 What an amazing place Kadampa Art Studio is! 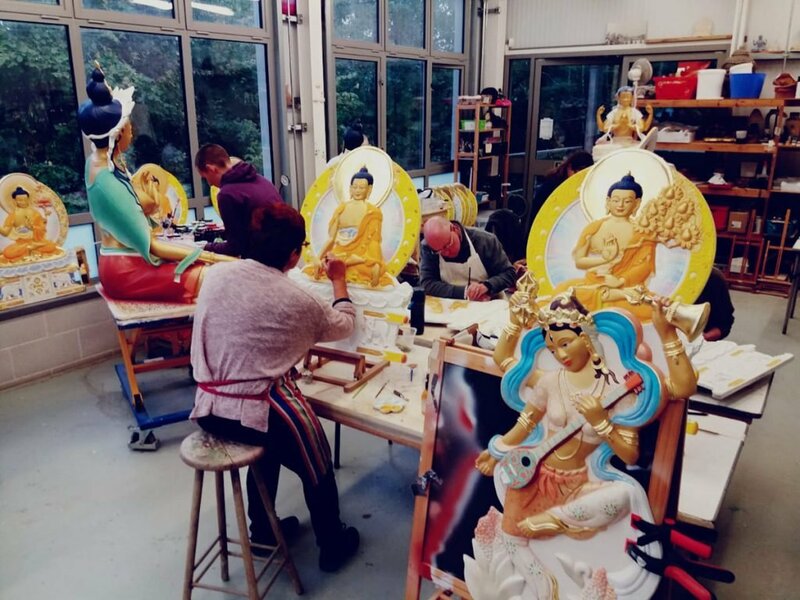 You can see from the joy in their faces and the focus in their work that the people who work there are motivated by something very pure - a sincere wish to be part of Venerable Geshe Kelsang Gyatso Rinpoche’s vision to bring Kadam Dharma to everyone in the world. 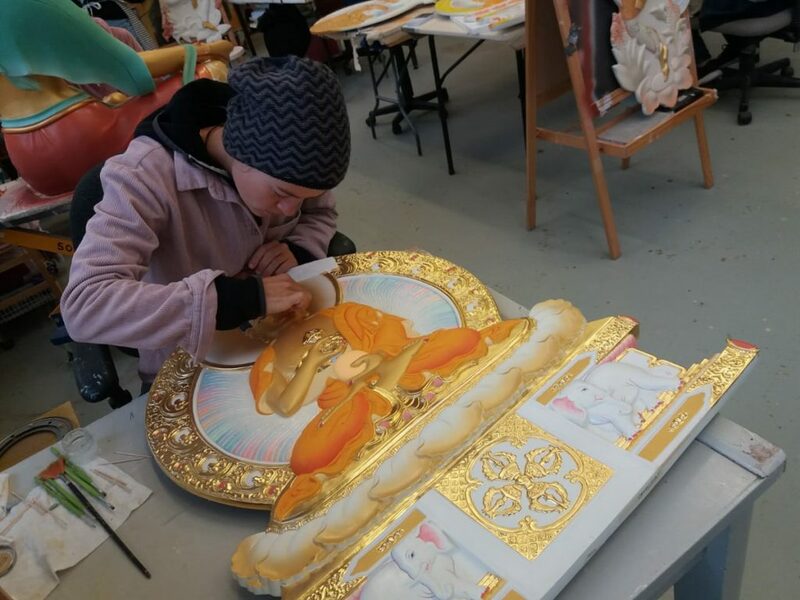 Some years ago when visiting KMC New York, Venerable Geshe-la said to one of the artists working there, ‘Artists are my life. 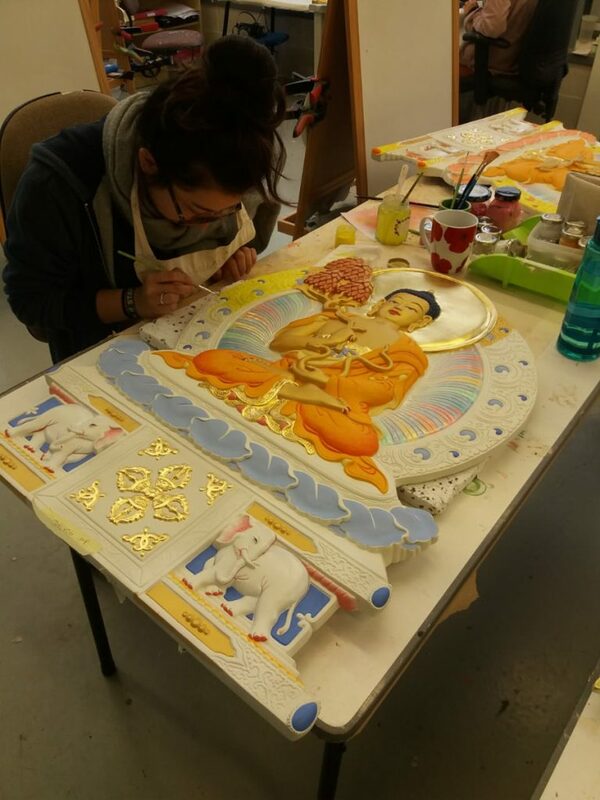 Without artists I am nothing’. 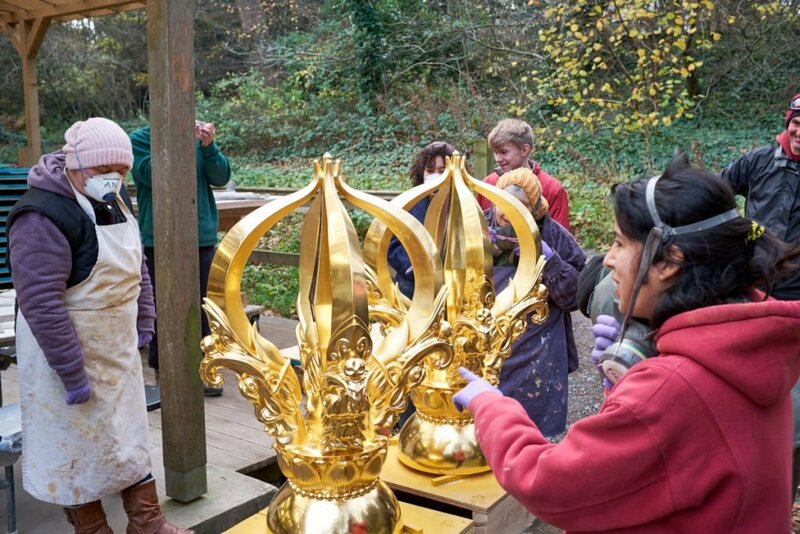 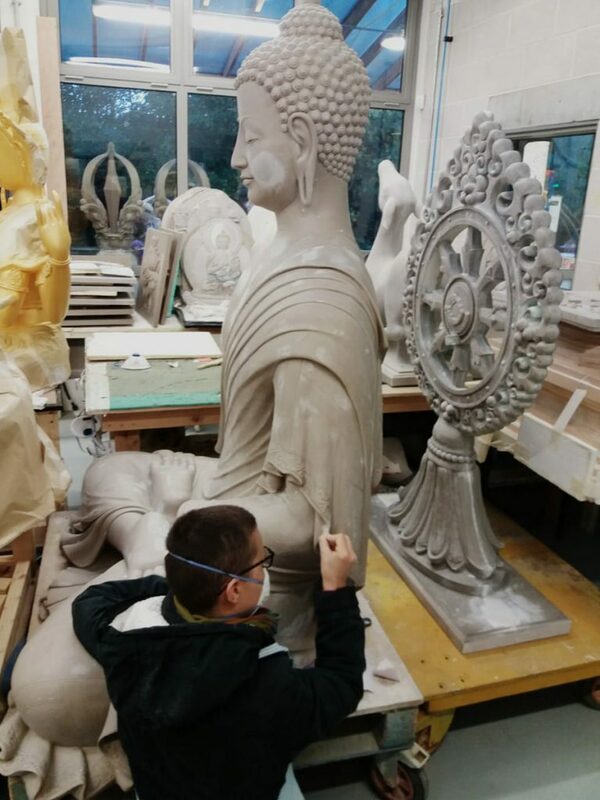 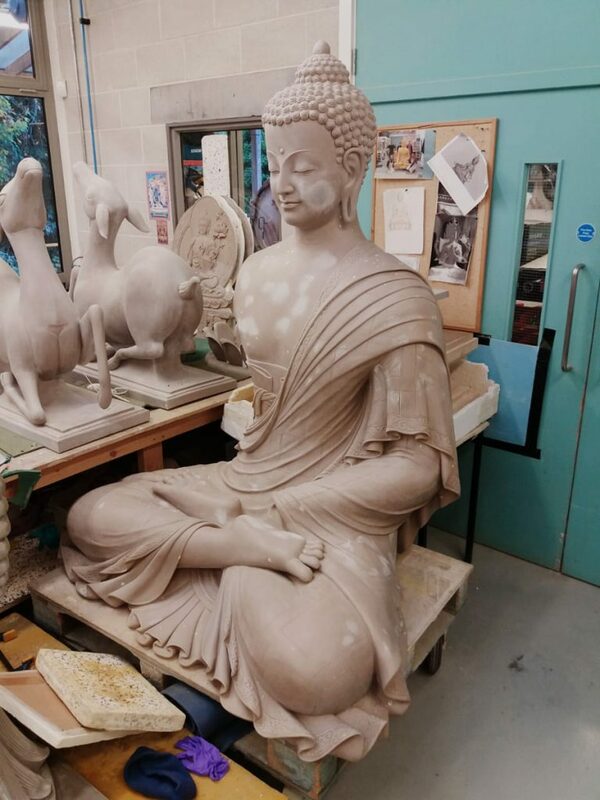 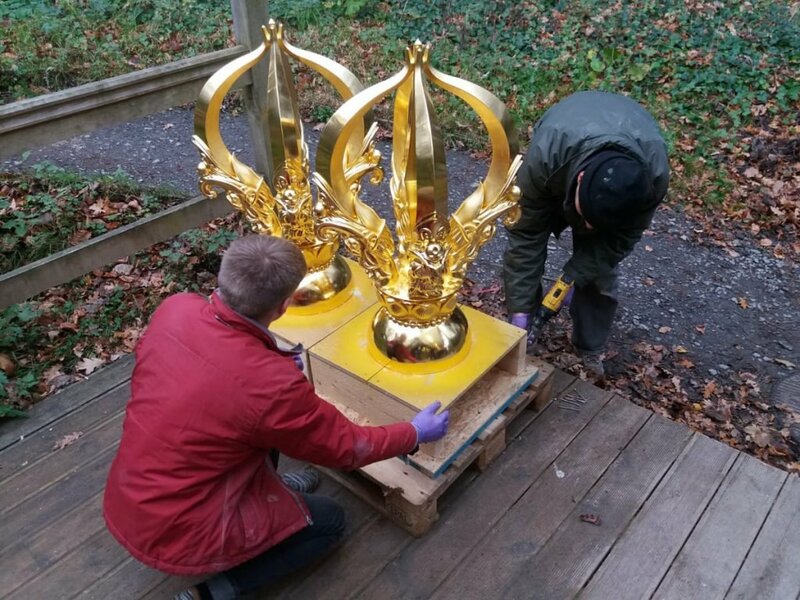 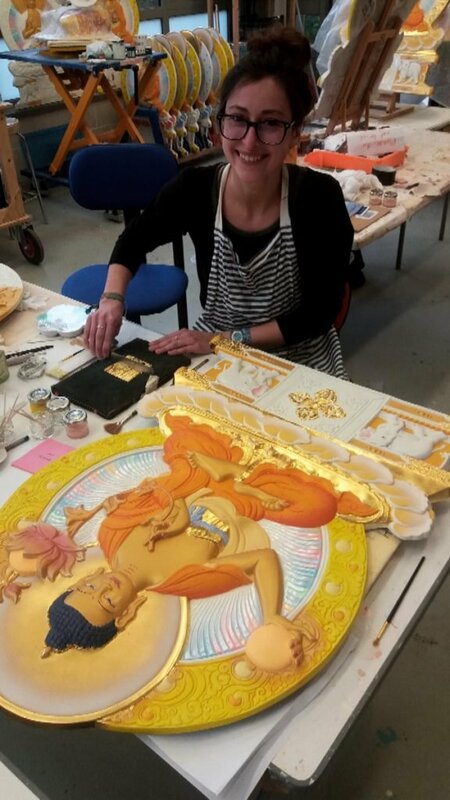 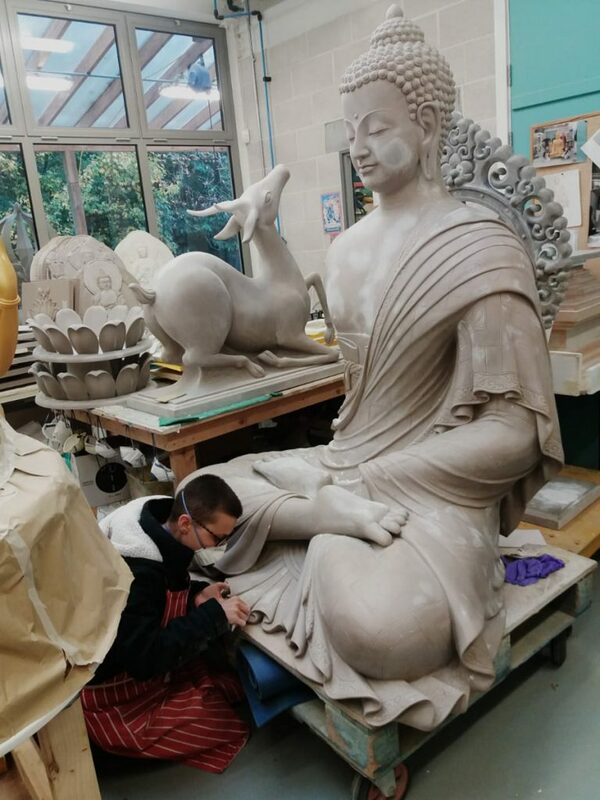 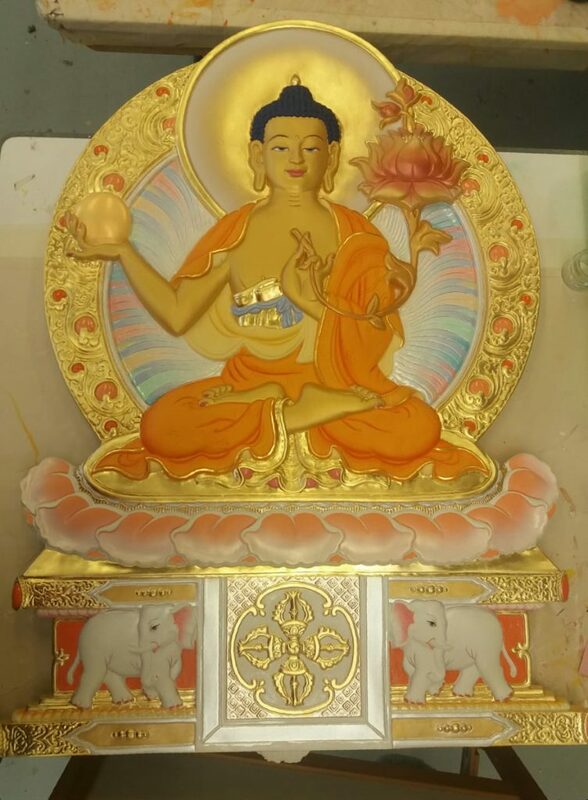 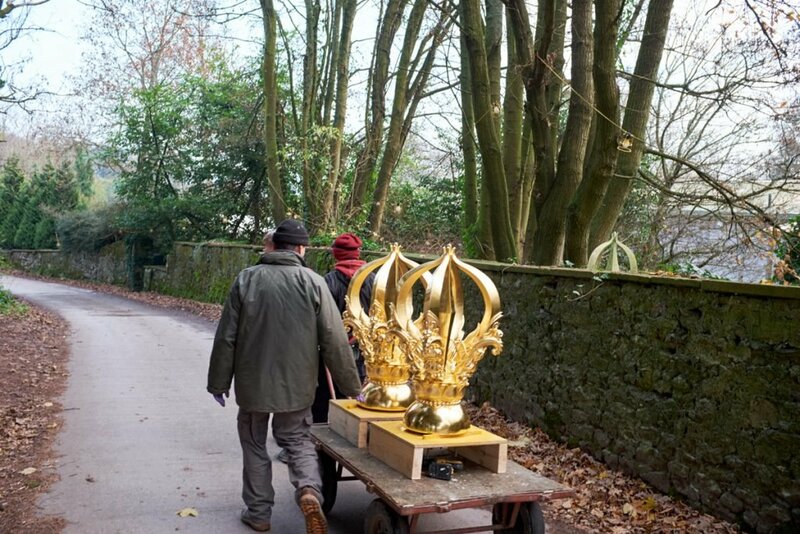 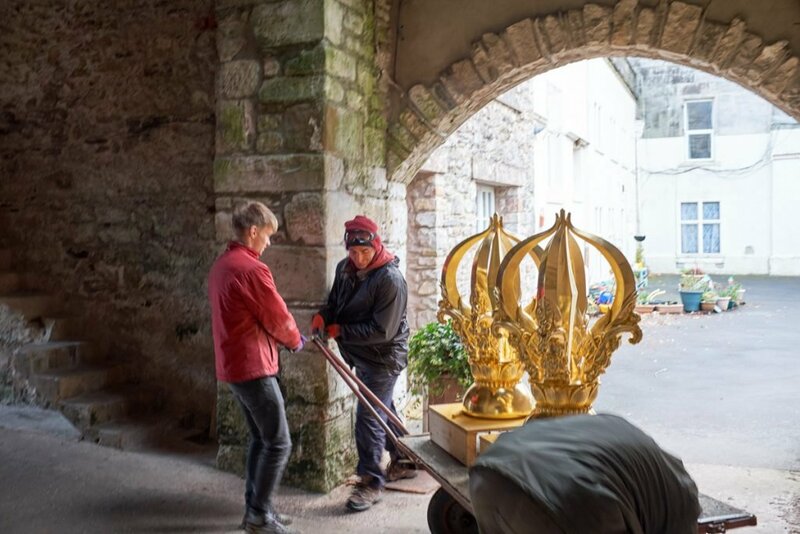 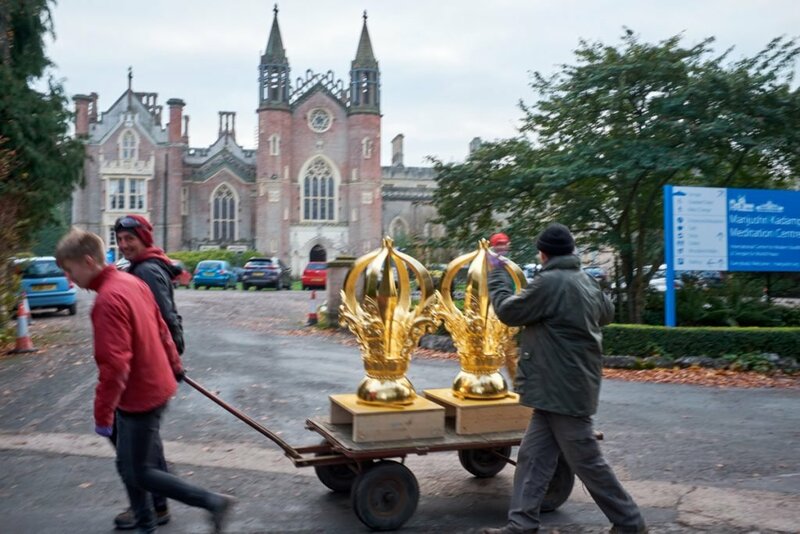 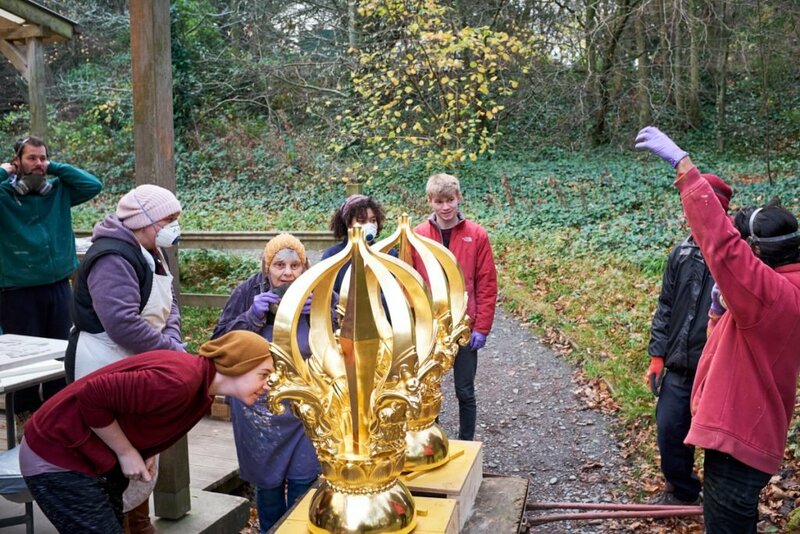 His meaning was that his vision to build a Kadampa Temple in every city in the world can be accomplished only if there are qualified artists working continuously to make the statues and all the adornments for the Temples. 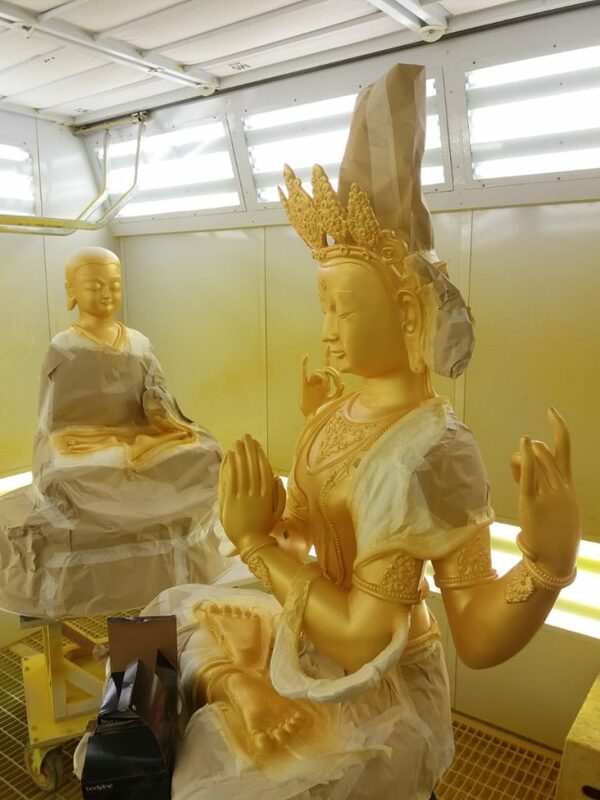 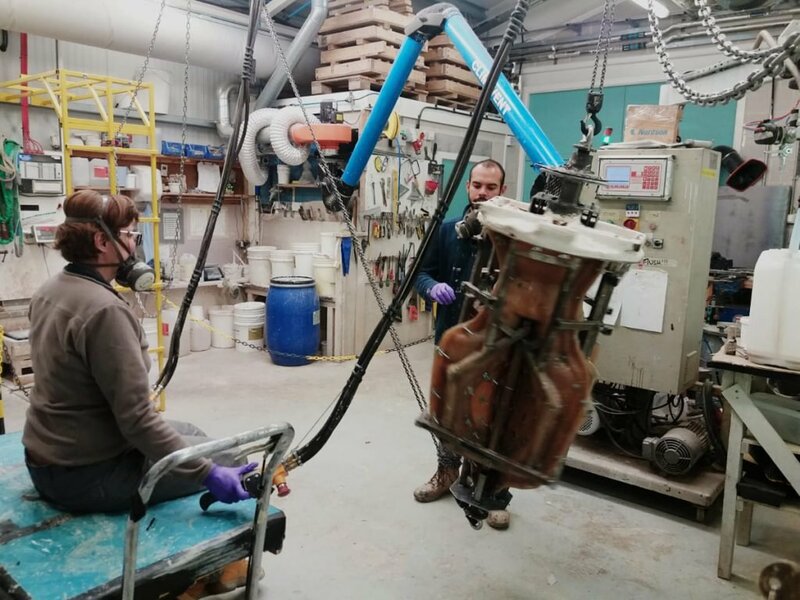 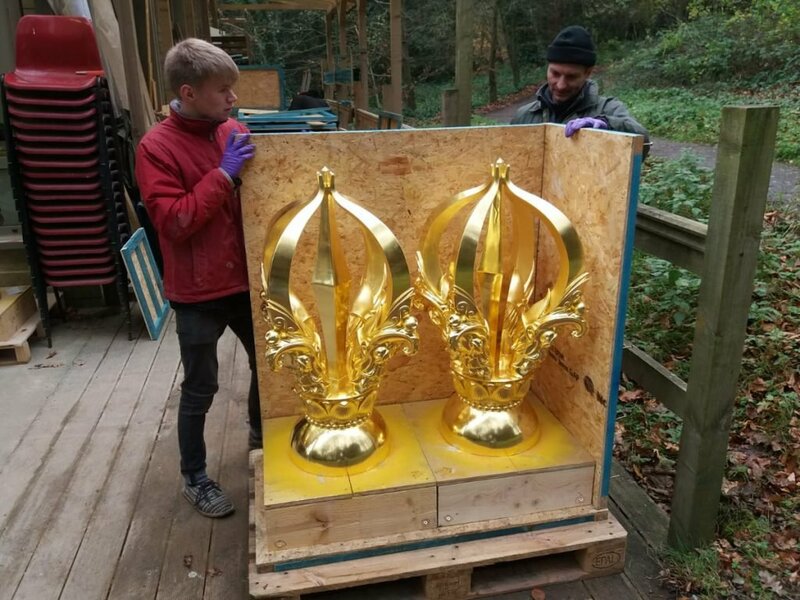 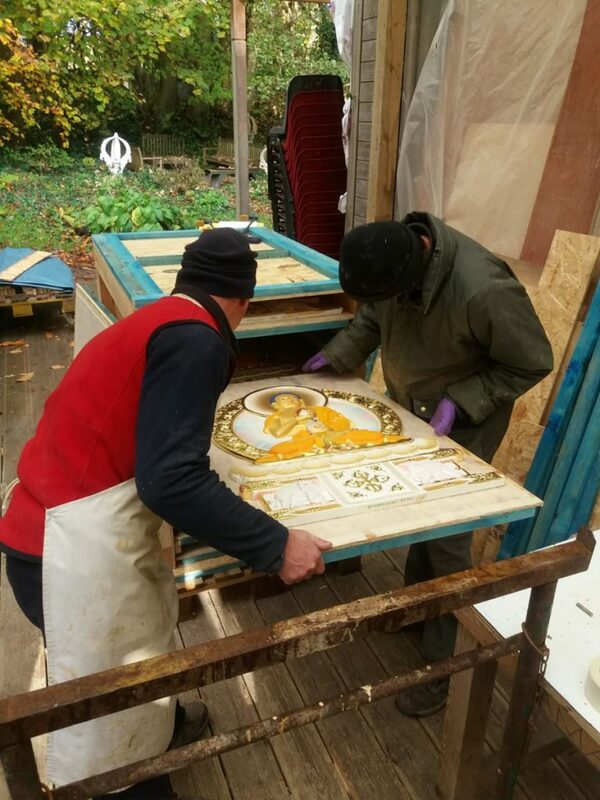 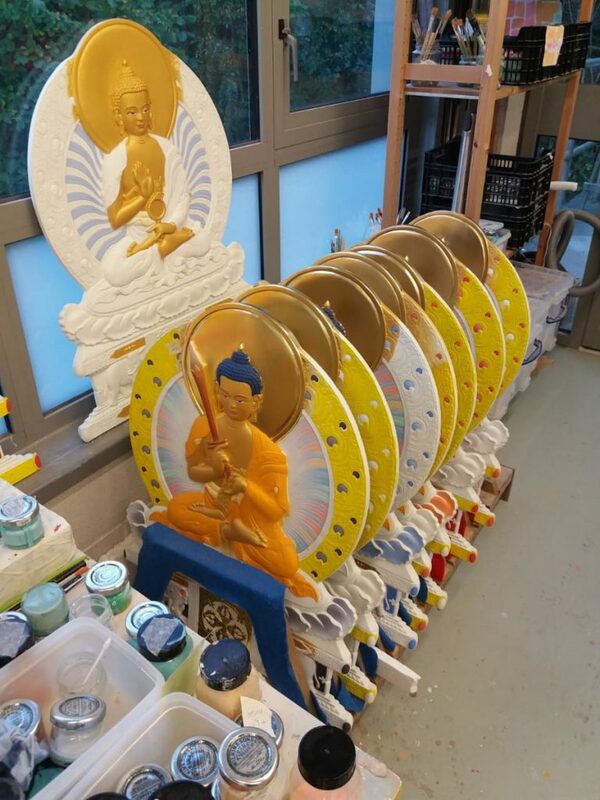 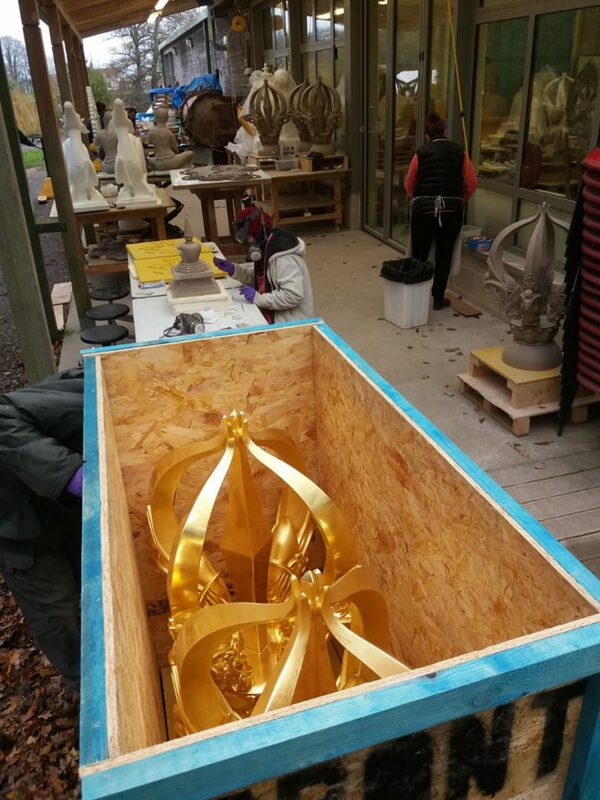 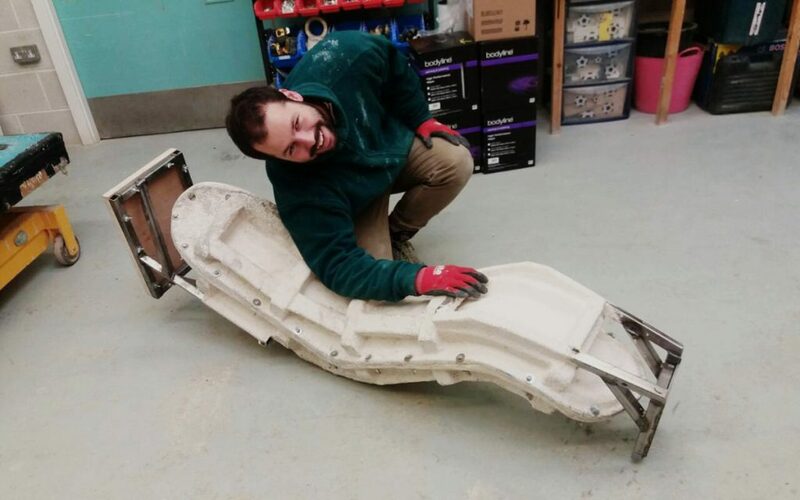 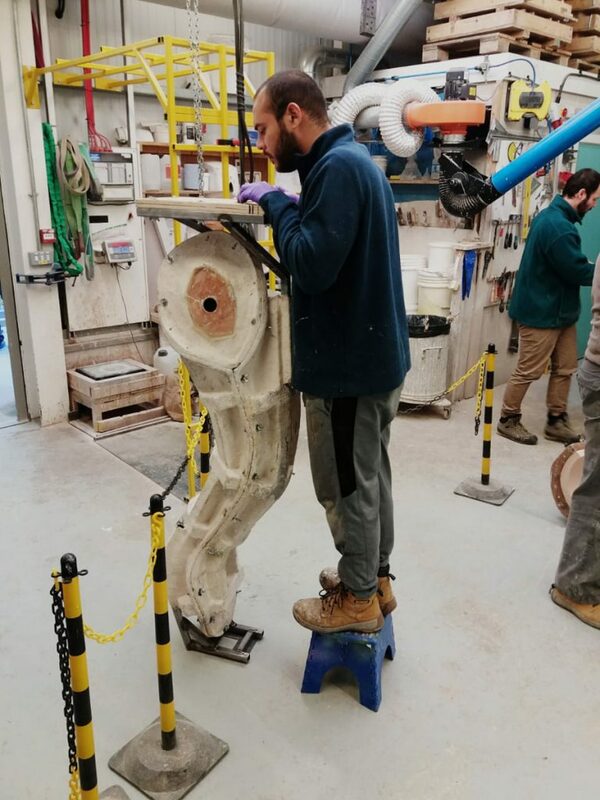 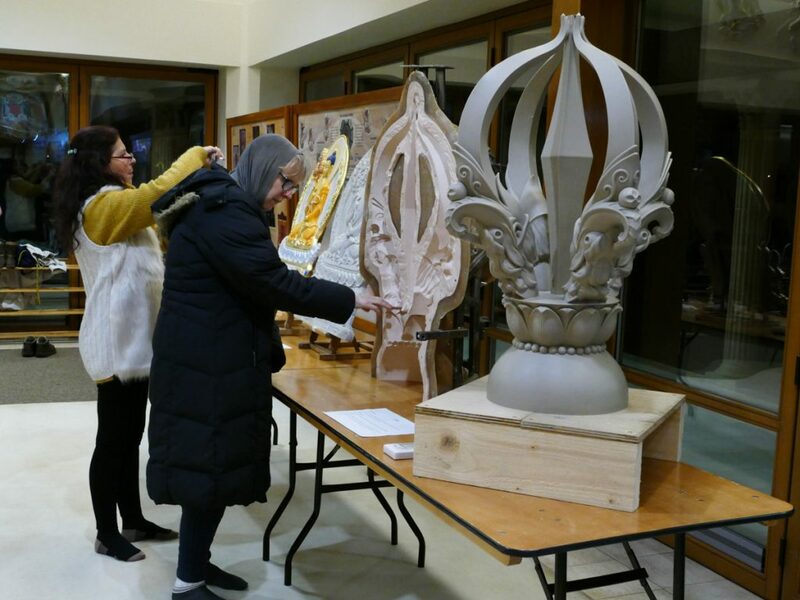 In this update we focus on the work at KAS in preparing the next shipment for the Temple in Arizona. 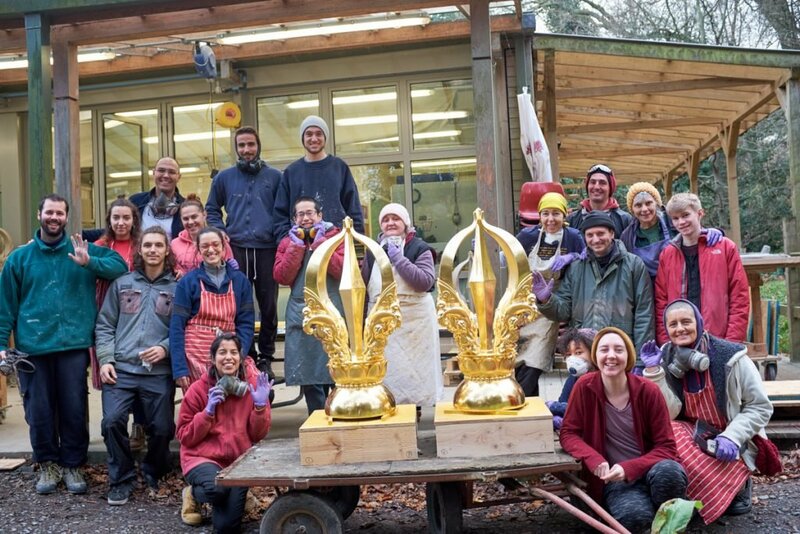 But as we shall see in future posts, their work is worldwide in its reach - and unceasing in its dedication and energy.